The Ultimate in Evil vs Evil Conflict Begins Friday! Evil and Good have clashed for eons, one side rising while the other falls. But when Evil turns against itself - when two immensely powerful scions of the Darkness face off - the Underworld becomes a battlefield and the prize will be... ALL the souls! This Friday we begin Part 1 of the Dage vs Nulgath war! Declare your allegiance and join your fellow heroes to fight for the most diabolical commander Lore has ever seen... whoever that might be! WHO am I fighting for? And why? If you have been unfortunate to wander Nulgath's malevolent realm and quested for his powerful rewards, then you know exactly what he is. 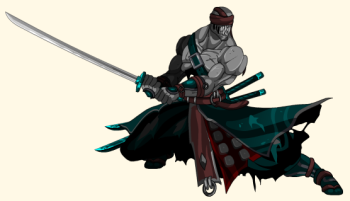 If you have journeyed to Shadowfall and navigated the halls of Gravelyn's fortress to join the Undead Legion, you've met Dage the Evil. But that does not tell you who they ARE. Read on to learn more about the diabolical leaders you've bound yourselves to... and if you haven't yet, then now is the perfect time to decide which has your loyalty! As the shadows fall, the Undead rise! Once a power-mad necromancer, Dage signed Nulgath's contracts and rode the fast lane to even more strength. Eventually the time came for Dage, like so many others before him, to fulfill his contract and pay Nulgath for his power, but he had used his new knowledge to bind a portion of his soul to an armor of his own construction. This remnant lives on and retains all the knowledge and strength of his previous life. Now Dage the Evil rivals Nulgath himself in evil power. The prize: power. The price: eternal obedience. Through the ages, Nulgath has taken many forms and been known by many names. Recently however, it was revealed that each of his previous forms were merely larval stages of the diabolic evolution into his current, malevolent form. Now Nulgath serves no master, only his own ceaseless lust for power and hunger for the souls he captures through his contracts. Since Dage the Evil's rise to power, it remains to be seen which of these creatures is truly the greatest evil. You've got a right to be angry... because someone is trying to overthrow your commander! Dage and Nulgath are in a battle to take over the Underworld and take down each other! While Gravelyn is busy consolidating her forces to move against Chaos, now is the only time Dage and Nulgath can face off without drawing her notice... and distracting the Evil heroes who would be working for her. In the fight to control the Legions of heroes who choose to fight for Evil, the battle will be won through strength, through dedication, and through numbers. Join with your friends to support the Evil you know is strongest! The Legion is fierce and full of horrors! Dage the Evil's BladeMaster is a furiously fast fighter. Do not face him without max potions - HP, dodge, strength, every little drop will help when this Evil brute starts hacking and slashing at your face! Do not taunt the Evil BladeMaster! 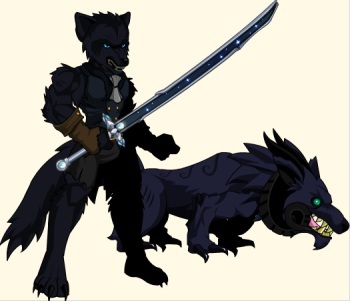 Later this week we'll preview one or more of the monsters Nulgath has created, so keep an eye on the Design Notes! Forum Question: Who has bought YOUR loyalty? Do you answer to Dage the Evil? Or do you serve Nulgath the ArchFiend? In the coming weeks, you'll have many opportunities to make that choice VERY obvious. You'll be battling the creatures of the Undead Legion, Nulgath's horrid creations, and gaining incredible rewards! For those who plan on staying neutral, or those who choose to fight only for themselves, then this war will be an opportunity to take home a huge haul - if you are strong enough to take it from those who have sworn allegiance! Freedom Day and Full Moon Shops on Tuesday! This weekend, our Canadian players celebrated their independence day and on Wednesday, it's the US's turn! In celebration, we're opening the Freedom Day shop full of maple-y gear and striped accessories! The fireworks start tomorrow! Howl much do you want this gear? Let the world know! Embrace the dark, don't miss the Full Moon shop! Filled with moon- and werewolf-themed gear, this shop will call to any densizens of the night who might be roaming! Doomwood Art Contest winners! You've already gotten your Artix Points, and tomorrow you'll get your Dual-wield Chainsaws of Doomstruction! Artix Upgrade Cards at GameStop! Check out this step-by-step walkthrough on how to get your very own fiery FlameStop Blade during July by purchasing an upgrade card from GameStop!